Antibiotic resistance is a major threat to public health and the current diagnostic process is antiqued and ineffective. When a patient shows up with a suspected infection, samples are sent to the lab where they are smeared onto a petri dish, cultured and tested for drug resistance. The process can take several days, and every hour a patient goes untreated the risk of complications increases. With little to no information on the infection, physicians are forced to use powerful, broad-spectrum antibiotics that are expensive, have significant toxicity and contribute to the growing epidemic of resistance. The Boston-based startup Day Zero Diagnostics is determined to modernize how we diagnose infections. They combine whole genome sequencing, machine learning and big data to within hours identify the species and the antibiotic resistance profile of a pathogen. The technology includes a benchtop analyzer with single-use sample preparation cartridges. The system isolates and enriches bacterial DNA from the same sample that is typically sent to the lab, enabling sequencing without the need to wait for culture. The resulting genomes are analyzed using a cloud-based analytics platform, with the startup’s proprietary Keynome algorithm, allowing physicians within hours to choose the antibiotic that is best suited against the patient’s infection. Current diagnostic tests force physicians to make decisions based on limited or nonspecific information, leading to overtreatment. Many patients receive antibiotics without even knowing if their infection is caused by a bacteria or a virus. This leads to unnecessary exposure to antibiotics, may cause adverse events and contribute to the emergence of antibiotic resistance. Day Zero Diagnostics has developed an innovative technology that speed the diagnosis process, leading to faster and more targeted treatments. It could play an important part of public health strategies, rapidly identifying the cause of infection, determining whether it is resistant to first-line treatment, and curbing the emergence of drug resistance by encouraging a smarter use of antibiotics. By allowing doctors to target the right drug to the right patient, the technology could significantly lower costs. It will eliminate the need for additional tests, reduce the length of hospital stays, and quickly put control measures in place to prevent the infection from spreading to others. It could lead to improved health outcomes, faster recovery and increased survival for millions around the world. The startup was founded in 2016 by Jong Lee, Doug Kwon, Melis Anahtar, Miriam Huntley and Dougal Maclaurin. They have since been accepted into the Harvard Innovation Labs, Pagliuca Havard Life Lab, and won several competitions, including Harvard Business School’s New Venture Competition and Fueling the Growth Pitch Competition. Day Zero has also been part of the 2017 MassChallenge Boston accelerator program and won the top prize in 2017 MedTech Innovator global competition. In August, 2017, the startup announced they had completed a $3 million seed financing round to support prototype development of their diagnostic platform, with Golden Seeds and Sands Capital Ventures as lead investors. Adherence to medical regimens is a major problem in chronic disease management, especially in asthma with a reported nonadherence ranging from 30 to 70 percent. Up to three-quarters of the total costs associated with asthma may be due to poor asthma control. This nonadherence is associated with a number of factors, including complex regimens, lack of instruction, poor supervision, follow-up and fears about side effects to name a few. Successfully managing asthma significantly improve quality of life, and developing new technologies that help improve adherence is of high importance. The UK-based startup Aerobit Health is determined to improve asthma care, and is developing a digital health platform with a smart inhaler device to reduce the risk of unnecessary fatalities. The inhaler measures quality of dose, and sync data with a complementary cloud-connected app. In addition, patients receive reminders via smartphone alerts, SMS notifications and LED lights on the inhaler. The platform encourages positive behavior with gamification and keeps the patients, loved ones and care team informed and alerted about missed dosages, and even environmental concerns such as pollen or pollution in their area that might trigger asthma symptoms. Adherence with doctor-recommended treatment programs has long been recognized as a leading cause of unachieved outcomes, and a major factor in the tremendous economic burden associated with asthma. It is estimated that 8% of annual healthcare expenditure, over $200 billion every year, is due to suboptimal medicine use. Better asthma management is key to reducing this economic burden, prevent fatalities and improve quality of life for millions of people around the world. Aerobit has developed an innovative solution of smart hardware and software to make asthma management easier and more effective. Remote monitoring can reduce the number of doctor appointments, while making it easier for doctors to identify when their patients’ asthma symptoms are worsening. This allow them to quickly take actions before patients are hospitalized, allocate resources to the patients that need them the most, and help ease pressure on the healthcare system. Most importantly, the platform can make a fundamental difference to the quality of life of people living with asthma. The gathered data can be used to improve and tailor treatment plans, dramatically reducing the number of asthma attacks. It can democratize care, personalize treatment and improve health outcomes. Aerobit was founded in 2016 by Ali Moiyed. With his daughter’s asthma diagnosis as inspiration, and an understanding of living with the chronic disease himself, he was determined to develop a solution that could make his family safer. In late 2016, the startup sought £250,000 in return for 16 percent equity on the crowdfunding site Crowdcube, and in 2017 raised an undisclosed amount from StartUp Health. They have taken part in the Future of Health Accelerator at The Landing, DigitalHealth.London Accelerator and HighTechXL Accelerator, and the startup has already attracted interest from hospitals, pharmaceutical companies and inhaler manufacturers. Heart failure is a staggering clinical and public health problem, associated with significant mortality, morbidity and healthcare expenditures. While there has been major progress in reducing mortality rates, hospitalizations remain frequent and readmission rates continue to rise. One of the greatest challenges in the management of patients diagnosed with heart failure is forecasting and preventing the development of acute worsening leading to hospitalization. Despite current best practice guidelines, re-hospitalization for heart failure occurs at a rate of close to 50% over 6 months. The major reason for this unacceptably high rate is the failure to detect hemodynamic congestion prior to symptom onset. Specialized equipment that measure changes in pulmonary artery pressure (PAP) and stroke volume (SV) have shown to detect changes is cardiac function relatively early, but is not feasible for at-home use. And while implantable sensors have shown to provide clinicians with a remote monitoring tool to determine when medication adjustments are needed, the cost and invasive nature of the device severely restricts its adoption. The San Francisco-based startup Respirix has developed Cardiospire, a portable handheld device for noninvasive at-home monitoring of heart failure patients. Their approach involves using precise analysis of breathe exhalation to monitor cardiogenic oscillations, which research suggests may be a more sensitive indicator of fluid status than invasive pulmonary artery pressure. Through easy to follow steps, the user takes a medium deep breath into the device until it indicates when it has taken a measurement. The electronically processed data is then transmitted to the physician’s office, which can be used to tailor drug dosing to correct fluid balance and optimize cardiac function in order to prevent hospitalizations. Heart failure is the leading cause of hospitalization in patients over 65. Research shows that fast detection and intervention for patients with worsening condition dramatically reduce hospitalization and mortality. Unfortunately, there is no optimal solution to closely monitor these patients. Either they don’t keep patients out of the hospital, or they are too expensive. Respirix has designed and developed an innovative device that enable at-home monitoring of cardiac function. While other devices currently on the market have to be implanted, Cardiospire allow noninvasive extraction of the same biometric signals from hands and respiration, and at a much lower cost. The device, combined with the digital health platform that send data directly to the physician, allow remote monitoring, potentially increasing access to care. Most importantly, it is a low-cost solution that can reduce hospitalizations and readmission rates, improving health outcomes and quality of life. Respirix is a spin-out from TheraNova, and the startup is working with Ethnonova to evaluate options for adapting Cardiospire in emerging markets, in settings with limited access to hospitals and doctors. They have previously received over $300,000 from SBIR, and in 2016 raised $800,000 from Synergy Ventures and Signatures Capital. Hundreds of thousands of people die each year of a heart attack. Rapid diagnosis and treatment is key. The longer we wait, the more damage the heart muscle suffers, and the lower the chance of full recovery. As a result, tremendous efforts are being made to speed up the diagnosis process. Currently, a heart attack is diagnosed by a combination of clinical symptoms, electrocardiographic changes and a blood test. The blood test measures cardiac troponin levels, an integral component of the heart muscle that is released into the bloodstream in the event of damage to the heart. While highly specific, the traditional troponin blood tests have a lower sensitivity, which can result in false negatives. To overcome this limitation, it is recommended to repeat measurements a number of times over 12 to 24 hours. This can not only delay diagnosis and appropriate treatment, but prolong unnecessary inpatient stays, with additional expensive testing for those who do not have a heart attack. The Taipei-based startup MobioSense is determined to transform heart care. They have developed HERO, a portable and affordable device that use patented antibody-binding semiconductor biochips to instantly diagnose heart attacks. With a single drop of fingerstick blood on the biochip, HERO registers the electrical charges in proteins, giving results in just 10 minutes. According to the startup, the high sensitivity troponin test is 100x more sensitive and 70% cheaper than current tests, and unlike any other platforms it does not require any reagents, refrigeration or cold supply chain. Chest pain accounts for millions of visits to the emergency department each year. Although a major symptom to heart attack, it can also be completely unrelated to the heart. In fact, only a small percent of all emergency department visits for chest pain are due to heart attacks. As a result of the low sensitivity of current troponin tests, many people who don’t have a heart attack end up staying at the hospital for 1 day of observation, increasing costs and lower efficiency. MobioSense has developed an innovative, high sensitive solution that can be used in ambulances to begin the diagnostic protocol immediately. A repeat measurement after arriving in the emergency room can reduce total hospital stay from more than 16 hours down to 3 hours, greatly reducing ER overcrowding. Most importantly, it gives doctors and other healthcare providers a tool that provide timely and appropriate care to their patients. HERO significantly speed up the diagnostic process, meaning faster treatment and improved health outcomes. For thousands of people, it could be the difference between life and death. And the device can test for multiple conditions and illnesses, including heart failure, kidney injury and viral diseases. The startup is currently developing biochips to test for additional illnesses. MobioSense was founded in 2015 and raised $150,000 from friends and family to start their project. They later raised another $200,000 from the Angel Project, the Taipei Startup Fund, the National Executive Yuan Germination Project and the National Taiwan Science Council to develop a second prototype. The startup has developed clinical partnerships with National Taiwan University Hospital and Harvard Medical School, and has been part of MassChallenge Switzerland, PULSE@MassChallenge, 43North and was one of the winners of 2017 UMass Lowell’s M2D2 $100K Challenge. It is estimated that about one in 50 people develop brain aneurysms each year, a weakened point in a blood vessel where the pulsing blood causes the wall of the vessel to balloon. If left untreated it can burst or rapture, causing intense pain and life threatening bleeding in the brain, resulting in serious brain damage or death. In fact, a third of people who develop brain aneurysms die, and over half of survivors will have disabilities. Existing treatment options of un-ruptured aneurysms have limitations, posing serious risk of bleeding or loss of blood flow to the brain. As a result, the risks may often outweigh the potential benefits of the therapies. The Oxford-based startup Oxford Endovascular is developing a novel flow-diverter, called Oxiflow, an advanced tiny metallic mesh tube device for the minimally invasive treatment of brain aneurysms at risk of rupture. The device was designed by James Byrne, a Professor of Interventional Neuroradiology at the John Radcliffe Hospital and Zhong You, a Professor of Engineering at the University of Oxford. 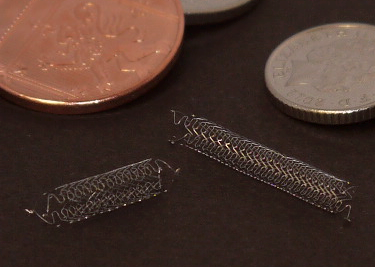 The device is laser-cut from Nitinol, a Nickel Titanium alloy, and has shape memory. It can be posted into a catheter during surgery and inserted into the brain where it then opens up into a tiny mesh tube that fits into the natural shape of the blood vessel. This help divert the blood away from the aneurysm, allowing it to heal. The unique design allows it to be placed more accurately and safely than existing products, conforming to various blood vessel shapes and reducing the risk of complications. With important medical advances, treatment for brain aneurysms is more promising than it was several years ago. There are more effective and less invasive treatment options for patients, who for a long time have been told they have inoperable aneurysms. Flow diverters have gained popularity and have by many hospitals become the first-line treatment for all un-ruptured aneurysms. Despite their increasing popularity, current flow diverters have drawbacks and still many patients cannot be treated with current technologies. Based on market feedback, Oxford Endovascular has developed the next generation flow diverters. Their device could dramatically improve patient outcomes and increase access to care, and the startup aim to treat blood vessels deeper in the brain that is not accessible with existing devices. Physicians are able to place the device more accurately and in a wider range of patients, ensuring treatment is both safer and more effective. This could have a major impact on thousands of patients around the world diagnosed with a brain aneurysm, preventing ruptures, as well as associated disability and death. A safer and more effective treatment option could not only significantly reduce associated costs, but eliminate the fear and uncertainty patients live with every day. It could end the constant wondering whether this will be the day their aneurysm ruptures, improving quality of life. Oxford Endovascular was launched in December 2015 and is a spin-out from University of Oxford. The device was developed with support from the Wellcome Trust, Technikos and the University of Oxford, and the startup announced in 2016 they had raised £2 million from Oxford Sciences Innovation PLC, Parkwalk Advisors and other private investors. They have won BioTrinity’s 2017 ‘Perfect Pitch’ competition, ‘Best Pitch’ at BIO-Europe Spring StartUp Slam, and 'Best Medtech Startup' at the 2017 OBN Awards, and is expected to begin human clinical trial in 2018. According to the World Health Organization, over 15 million people suffer from stroke worldwide each year. Of these, it is estimated that over 5 million die and another 5 million are permanently disabled, making it the second leading cause of death and the third leading cause of disability. High-dose intensive training and repetitive practice of specific functional tasks are important for recovery, making rehabilitation a labor-intensive process. As a result, we have seen a remarkable development of robotic technologies in recent years that promise to deliver a task-specific, intensive training, improving functional outcomes and leading to faster recovery. However, existing devices are expensive, meaning most stroke sufferers cannot access this hugely beneficial technology. The London-based startup Motus Innovations is determined to empower stroke patients and increase access to technologies that can help them recover their independence. They are developing and commercializing a simplified, easy to operate robotic device that assists patients in regaining essential upper limb functions. It supports all key movements of the hand and arm, while adapting to the patients’ specific needs as they recover. The inexpensive, state of the art rehabilitation technology allow patients to complete daily physiotherapy from the comfort of their own home, improving the quality of recovery after stroke. In addition, the startup has developed a software platform where patients can set therapy and recovery goals, play games to track their progress. Part of this software is Keira, an interactive AI rehab assistant that help to coach the patient along the way, democratizing care and making therapy more fun. It is well known that participation in daily physiotherapy significantly improves recovery after stroke. Yet, less than a third of patients actually receive the necessary care to lessen disability and regain full limb function. A major barrier is limits to resources, staff and distance to rehabilitation providers. And new technologies that promises faster recovery and more efficient care are too expensive to actually benefit the majority of patients. Motus Innovations is developing an innovative recovery system, based on principles of robotic rehabilitation and neuroplasticity, which every stroke sufferer can afford. Their system supports the patient throughout the rehabilitation process, accelerating recovery of vital functional movements of the upper limb for a significantly lower cost than currently available options. The digital platform quantify the recovery, helping patients understand and track the rehabilitation process. At the same time, it give healthcare professionals a unique opportunity to monitor patient’s progress. This enable them to manage multiple patients more efficiently and identify who are not recovering as expected, allowing the reallocation of resources to those who need them the most. Most importantly, Motus Innovations’ system not only increase access to care, but empower patients and give them greater control over actions and decisions that affect their recovery. The startup make robot-assisted therapies available for all stroke patients, accelerating recovery and health outcomes, ultimately improving quality of life. For millions of people worldwide, it could be the difference between independence and relying on caregivers for the rest of their lives. Motus Innovations was founded in 2016 by Ross Ward after witnessing his grandmother struggle with disability following a stroke. He turned to robotic assistive devices, but it quickly became clear that few stroke sufferers could access these beneficial technologies due to their high cost. The startup has been recognized internationally and have among others taken part of MassChallenge UK and Switzerland, and Panacea Innovation’s BioStars 2017 accelerator program. Congestive heart failure is a major public health problem, affecting over 23 million worldwide. While the global economic burden is not known, it is estimated to cost over $35 billion in the US alone. Existing therapies offer some clinical benefit, but can in many cases be ineffective at relieving symptoms and reduce hospital admissions. Many patients suffer with very limited quality of life, and despite best medical therapy, 50% of all heart failure patients die within 5 years of diagnosis. The Houston-based startup Alleviant Medical aim to create a paradigm-shift in the treatment of congestive heart failure and is developing a minimally-invasive device that could relieve symptoms and improve functional mobility. The transcatheter device is a single-use disposable that relieves pressure buildup in the left atrium of heart, which is the key driver of heart failure symptoms. It enters the body near the groin and travel through the body to the heart via the femoral vein. An expandable blade then cut a hole in wall separating the left and right atria, and the tissue is pulled back into the device which is then safely removed from the body. The hole allow blood to flow naturally from the left chamber to the right, lowering pressure on the left and increasing pressure on the right. This could drastically improve quality of life, keep patients independent and out of the hospital. Current treatments for congestive heart failure include diuretics, but that medication has serious side effects that include kidney failure. A stent can also be inserted to create a passageway between the left and right atria, but carry the risk of blood clots and stroke. Alleviant Medical has developed an innovative solution that could reduce the reliance on costly medications. Although creating a hole in the heart come with risks, it could dramatically improve quality of life for millions of patients around the world. And the device’s ability to pack the severed tissue down, safely removing it from the body, reduce or potentially even eliminate the risk of any particles causing a stroke. The treatment is expected to lift the burden of heart failure, relieve symptoms and reduce hospitalization rates, significantly increasing 5 year survival rates. Alleviant Medical was founded in early 2017 and has since gained much attention and won multiple awards. The startup has been part of the Rice Business Plan Competition, UMass Lowell’s M2D2 $100K Challenge, MassChallenge, Medtech Innovator and Texas Medical Center’s TMCx medical device accelerator. They have already developed a fully functional prototype and performed animal studies and is currently seeking seed financing to finalize design. Close-up view of the optical analyzer. 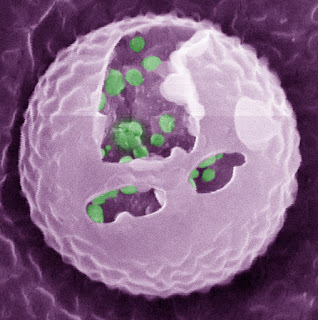 About one quarter of the world's population suffers from anemia, a disease caused by a concentration deficiency of hemoglobin in red blood cells. Hemoglobin transports oxygen throughout the body, and if the concentration decreases and body becomes starved of oxygen, it often result in dizziness, fatigue, shortness of breath and abnormal heart rate. Severe cases can even lead to increased maternal and child mortality, as well as impair cognitive and physical development in children. To reduce the burden, health officials need a better picture of the disease's global impact, an understanding made viable by a portable and affordable way to analyze blood. Researchers at the University of Washington developed a device smaller than a toaster that can detect the level of hemoglobin in whole blood samples using optical absorbance. The work is published in AIP Advances. Blood analyzers currently on the market measure hemoglobin by chemically rupturing the red blood cells in a sample. This technique requires hands-on expertise to prepare and run a sample, limiting the ability to monitor anemia in many parts of the world. The new device uses whole blood and does not require additional steps and reagents to prepare a sample, only a few drops of blood. The analyzer takes advantage of the optical properties of blood, such as absorption and scattering, to measure hemoglobin concentration. Anemic blood transmits more light compared to normal blood, so the severity of anemia can be measured as a ratio of transmitted to original light intensity. To simulate anemia, the researchers diluted blood samples with a buffer solution. The blood analyzer was effective at predicting cases of moderate to severe anemia, defined as less than 10 grams per deciliter of hemoglobin in a sample. The analyzer did not produce any false negative results. The optical density of samples did not increase linearly, so a higher concentration of hemoglobin defines the upper limit of detection for the device. 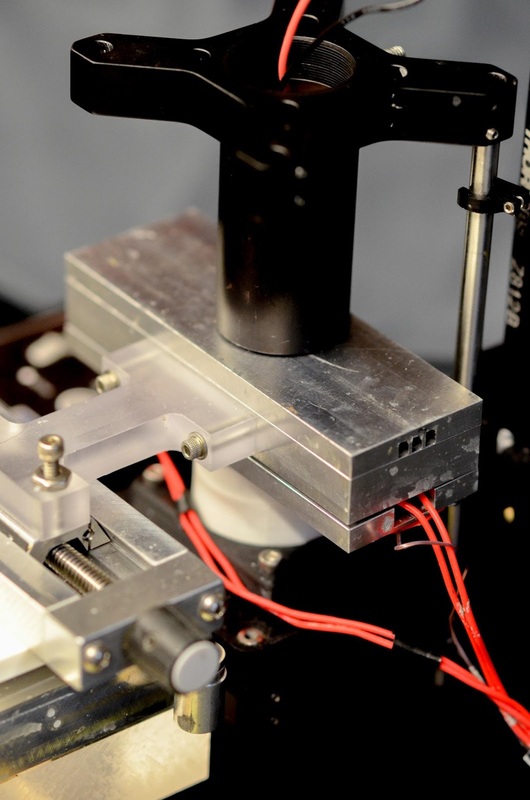 The current design is a prototype that could be integrated with other microfluidic devices to analyze whole blood samples in parallel to diagnose anemia and other underlying factors that could contribute to the disease. offering easy-to-use, cheap and portable diagnostics. 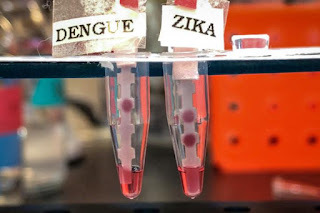 To achieve this, the researchers exposed mice to Zika and Dengue viruses and then screened the resulting antibodies, in pairs, against every flavivirus' version of the NS1 protein. This allowed them to identify pairs of antibodies that react only with one version of NS1 and not any of the others. 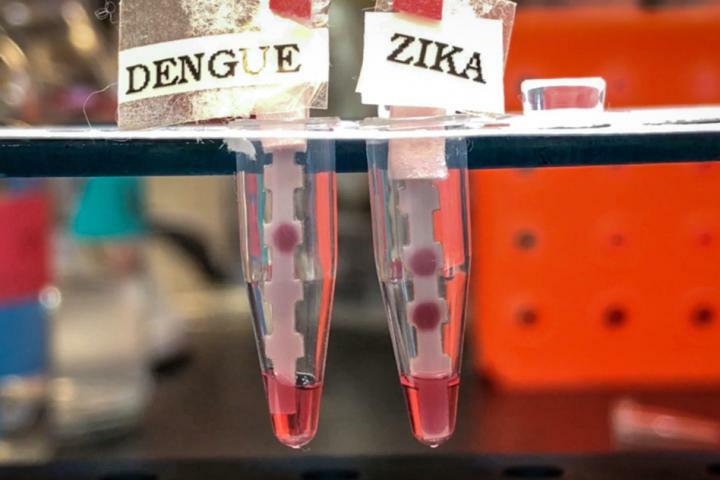 The researchers used these pairs to create five separate tests, one for each virus. They coated strips of paper with one antibody from each pair, while the second antibody was attached to gold nanoparticles. After adding the patient's blood sample to a solution of these nanoparticles, the paper strip is dipped into the solution. If the target NS1 protein is present, it attaches to the antibodies on the paper strip as well as the nanoparticle-bound antibodies, and a colored spot appears on the strip within 20 minutes. This approach requires five test strips per sample to test for each virus, but the researchers are now working on a version that would test for all five with one strip. The researchers believe that their approach should also enable them to quickly develop diagnostic tests for other related viruses that might emerge in the future. They are now working on a diagnostic for the emerging Powassan virus, which is carried by the same tick that spreads Lyme disease. Powassan, found mainly in the northeastern United States and the Great Lakes region, causes a severe form of encephalitis. Though preventable, heart disease is the number one cause of death globally, representing over 30% of all deaths. More women die from heart disease than men, and approximately one woman die every minute of heart disease in US alone. Warning signs for women are not the same as men, and heart attacks doesn’t always have obvious symptoms, such as chest pain, shortness of breath and cold sweats. Despite this, women are less represented than men in cardiovascular health research, leading to an information gap and underdiagnosis. The Cambridge, Massachusetts-based startup Bloomer Tech is aiming to better understand and monitor women’s cardiovascular health. They are developing flexible, washable circuits with sensors that can be sewn into the lining of a bra. The patent-pending circuits will be able to monitor electrocardiogram signals, pulse rate, respiratory rate, heart rhythm, blood pressure, oxygen saturation in blood, body temperature, and position and movement of the body, sending real-time data to an app on the smartphone via bluetooth. The app provides interactive tools to help women improve their heart health, letting patients note the context around any adverse symptom or discomfort, and enable them to share the gathered information with their doctor to better prevent and treat cardiovascular disease. Heart disease cause 1 in 3 deaths among women each year, more than all cancers combined. Yet, only 13% of women surveyed by the American Heart Association thought heart disease was their biggest health risk. While it is estimated that about 80 percent of all cases can be prevented with education and action, mortality rates continue to climb as women are frequently misdiagnosed or not treated. Bloomer Tech is developing an innovative technology that can help acquire more gender-specific information to improve women’s heart health. They use sensor technology to transform how people understand their bodies and help prevent and more effectively treat heart disease. The wearable provide women with information about their heart health in real time that can help give feedback on treatment efficacy and wellbeing, personalizing and optimizing healthcare. It can help raise awareness, reduce barriers to timely assessment and treatment, increase access to care, improve health outcomes and survival rates. Bloomer Tech is named after women’s rights advocate Amelia Bloomer and was founded in 2015 by a group of researchers who came up with the idea while at Singularity University, a program in Silicon Valley seeking technological solutions to humanity’s biggest problems. The startup is now based at MIT where they are developing prototypes. They have received MIT Science and Technology Initiatives (MISTI) Seed Grant, been part of MIT Sandbox, the MIT Kickstart program in Hong Kong, and MIT delta v.
Deep vein thrombosis (DVT) occurs when a blood clot is formed in one or more of the deep veins, usually in the leg. It’s can be a very serious condition, because the blood clots can break loose, travel through the blood stream and lodge in the lungs, leading to pulmonary embolism. Over 10 million people are affected by DVT worldwide, and it kills more than 800,000 people every year. Currently, a diagnosis require an ultrasound exam by a radiologist, limiting it to an expensive and long-winded hospital setting. The London-based startup ThinkSono is determined to improve DVT diagnosis. They have developed the world’s first software to diagnose DVT, called AutoDVT, allowing any healthcare professional to diagnose DVT at the point of care using portable ultrasound scanners. The app instructs the healthcare professional to place the probe on the skin where underlying vessels are expected, and acquire the ultrasound images and analyze them. The software guide the professional to apply pressure with the probe to compress the veins, enabling the software to check the vein segment for any clot existence. If a vein does not compress, DVT is suspected and AutoDVT informs the user and suggest further assessment of the patient. Currently, 2 in 3 DVT deaths are not diagnosed due to a complex, time-consuming and costly process. It can take over 5 hours for a patient to be diagnosed, requiring multiple assessments from radiologists, globally costing over $10 billion every year in associated costs. ThinkSono has developed a powerful AI tool that can transform DVT diagnosis. The innovative technology could according to the startup reduce the number of patients who need to see a radiologist by 95%, resulting in a 30% faster and 10% cheaper diagnosis. In addition, by allowing any healthcare professionals to perform the procedure at point of care, it could significantly increase access to diagnosis. This will lead to improved care, potentially even better treatment options and efficacy, ultimately increasing patient outcomes and survival rates. Fouad Al Noor and Sven Mischkewitz founded ThinkSono in November 2016 after meeting at the six-month Entrepreneurship First program in London. The startup is backed by a team of leading clinicians, engineers and investors from Berlin and London, and they are in 2017 part of Bayer’s Grants4Apps accelerator program along with 3 other digital health startups from around the globe. Today's most widespread methods for glucose self-testing involve monitoring glucose levels in blood. 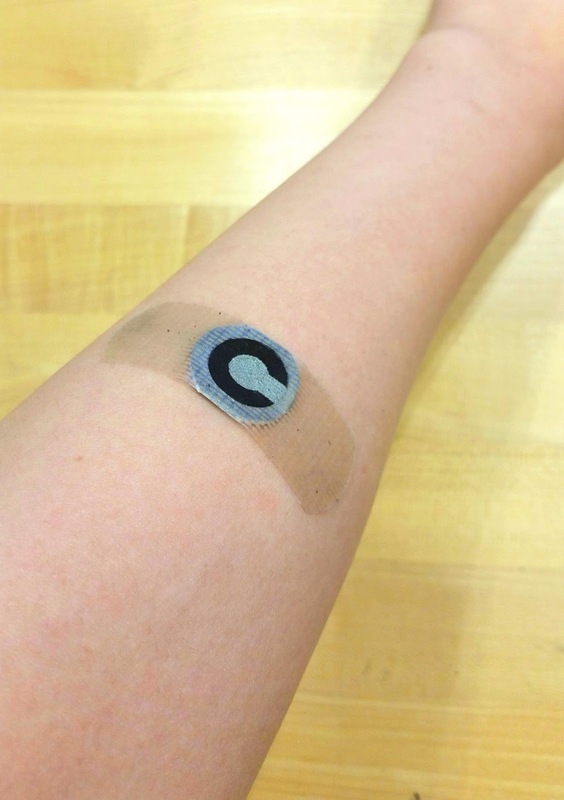 Conventional measurements, however, are not suitable for preventing hypoglycemia during exercise, said Binghamton University Electrical and Computer Science Assistant Professor Seokheun Choi. "This is because 1) the underlying process relies on invasive and inconvenient blood sampling, causing the possibility of sample contamination and skin irritation with sweat containing various electrolytes and proteins; 2) the method needs patients to carry many accessories during physical activity, including lancets, alcohol swabs and a relatively large glucometer; and 3) the technique requires a sophisticated electrochemical sensing technique and sufficient electrical energy, which makes the technique difficult to be fully integrated in a compact and portable fashion," Choi said. 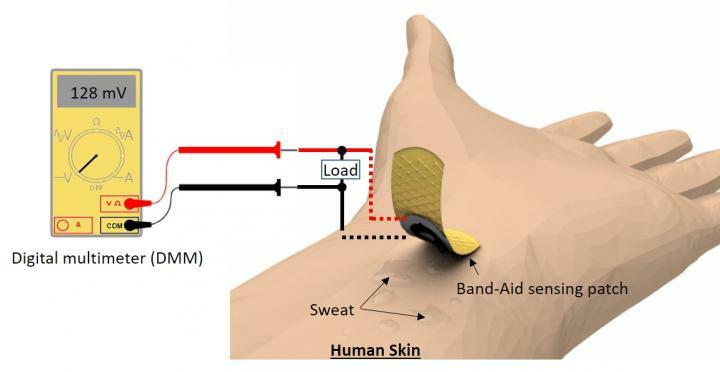 "The paper-based device attaches directly to skin, wicks sweat to a reservoir where chemical energy is converted to electrical energy, and monitors glucose without external power and sophisticated readout instruments," said Choi. "The sensing platform holds considerable promise for efficient diabetes management, and a fully integrated system with a simple readout can be realized toward continuous non-invasive glucose monitoring," wrote the researchers. The research was published in the journal Micromachines. Lung biopsy is a frequently performed procedure, globally carried out over a million times every year. It is an indispensable tool in evaluating pulmonary abnormalities and the method for a definitive lung cancer diagnosis. Unfortunately, 1 in 3 patients suffer from a collapsed lung, called pneumothorax, a dangerous complication causing the patient significant pain, distress and difficulty breathing. It can transform a routine outpatient diagnostic procedure to one requiring hospitalization and invasive treatment, substantially increasing cost of care. In some cases it may even be life threatening. 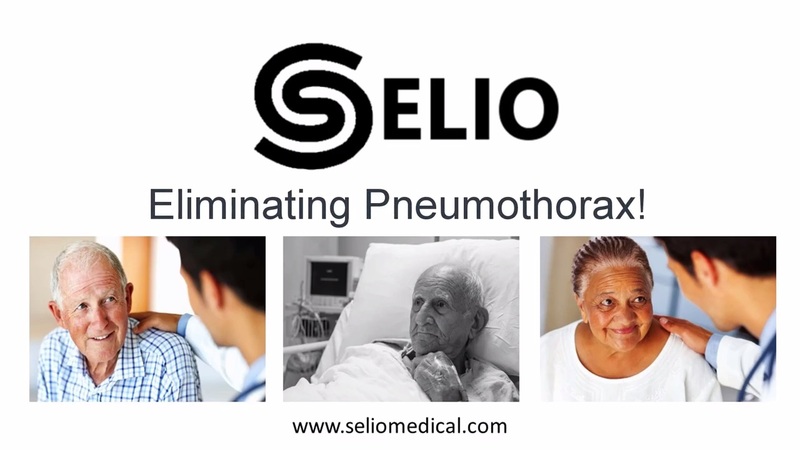 The Irish startup Selio Medical is determined to transform lung biopsy procedures and eliminate pneumothorax. 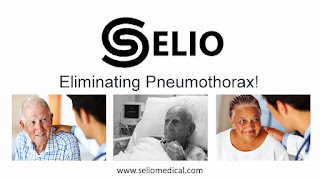 While previous attempts to tackle this problem have focused on plugging the needle tract in the lung post-biopsy have proven ineffective, Selio’s revolutionary approach prevent the pneumothorax occurring before the biopsy even takes place. They have developed a single use device that creates an air tight seal between the needle access route and the lung, preventing any air leak from the lung during or after the procedure, eliminating the risk of pneumothorax. The prototype has gone through extensive tests in the lab and pre-clinical in vivo studies have shown very positive results. On average, over 30% of patients undergoing a lung biopsy will suffer from a pneumothorax. This leads to over 100,000 extra hospital admissions, invasive treatment, and an average cost of $11,000. Currently, there is no effective method of prevention, and with a rising global incidence of lung cancer, there is a large unmet need for solutions that can help lower the risk of pneumothorax. Selio Medical has developed a simple and effective technology, the first-in-class medical device designed specifically to address the complication of lung biopsy related pneumothorax. By developing a method that effectively avoid pneumothorax, increasing the safety of lung biopsies, clinicians across the world can carry out significantly more procedures, positively impacting clinical workload and stress. In addition, eliminating the need for further clinical intervention significantly reduce costs for the patient, insurer and health provider. Most importantly, the innovative device will prevent patient pain and distress, improve care, and potentially even prevent deaths. Selio Medical is based in Trinity College Dublin and was founded by Colm McGarvey and Garret Ryan who met during a BioInnovate fellowship at the National University of Ireland, Galway in 2014. During the program they discovered a large unmet clinical need to eliminate pneumothorax during or following lung biopsy, and analyzed the market opportunity before developing their solution. They have since won multiple awards, including MedTech Innovator International Pitch Competition, 2017 EIT Health Headstart Award, as well as being singled out as one of the top 10 investor-ready startups in Enterprise Ireland’s Big Ideas 2017 showcase. The startup has raised over €500,000 in non-dilutive grant funding and is raising a Series A round of €3.5 million to bring the technology through FDA and CE mark submissions by 2021. They are expecting to start first ‘in-man’ clinical trials in 2018. Over 2 million people worldwide receive treatment with dialysis to stay alive, yet this number may only represent 10% of people who actually need treatment. Every year, over 2.3 million people die around the world because they can’t afford or access dialysis. Of the people who receive treatment, a majority is treated in only five countries: the US, Japan, Germany, Brazil and Italy. In middle-income countries, dialysis creates a huge financial burden for the majority of people who need it, and it is estimated that the number of cases of kidney failure will increase disproportionately in developing countries. The Chicago-based startup Simergent is developing an affordable home dialysis device that automatically administer peritoneal dialysis therapy to patients at night while they sleep. Unlike the more commonly used treatment option hemodialysis, patients do not have to travel to a hospital or dialysis center multiple times per week, and there is no blood removal or needles involved. The startup’s technology consists of an electromechanical device, a disposable tubing set, and proprietary software that manages fluid delivery. Through simple easy-to-follow directions via a touch screen, the system pumps dialysis solution through the sterile disposable tubing into a surgically implanted port in the patient’s abdomen. The filtered out waste products is cycled out of the body and discarded. The prevalence of kidney disease is increasing dramatically and access to dialysis remains limited in several regions of the world due to lack of financial and clinical resources. Treatment require expensive equipment and materials, as well as personnel, making kidney disease a death sentence for many people. Simergent is developing a paradigm-changing home dialysis system, and is specifically targeting emerging markets including India and China. The device cost less than 70% of traditional devices and give easy-to-follow instruction, enabling patients to do the procedure themselves at home. In addition, the system generates sterile dialysis solutions within the patients’ homes, eliminating the need to store large boxes of solution within their own home. The technology address specific needs for emerging markets with its low-cost, low-literacy and rural friendly design. It eliminates the infrastructural requirements of clinics, transportation and trained staff, allowing patients to live normal lives while receiving quality care. The drastic reduction in cost opens the door to treatment for millions of new patients, meaning kidney disease no longer have to be a death sentence no matter where you live in the world. Simergent was founded by Steve Lindo and Rick Pendergraft and spun out of SIM Solutions in April 2016. The startup is a member of the MATTER startup incubator community, and has previously been selected as a finalist in the Propel business plan competition, the eMERGE Americas Startup Showcase, and was in 2017 chosen as one of the Medtech Innovator Top 100 companies.